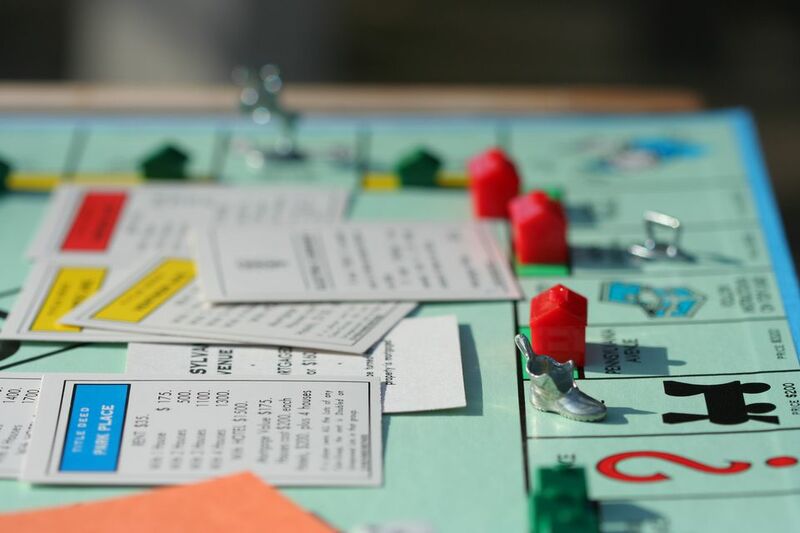 Before you buy your next railroad or land in jail, make sure you are up-to-date on these frequently asked questions about the popular board game Monopoly. Even though many households have implemented house rules variations over the years, the answers provided here relate to the official rules of Monopoly. You may be surprised to find out you haven't been playing by the rules all this time. That said, feel free to make adjustments to Monopoly as you see fit, as long as all the players agree to them ahead of time. Are the official Monopoly rules available online? Yes, Hasbro has the rules to all its games on its website. Which rules are the most overlooked? Free Parking means free parking. You do not get any money for landing on Free Parking. Also, all payments required by Community Chest and Chance cards go to the Bank, not to the center of the board. Gasp! Can I borrow money from another player? No, sorry. You can only borrow money from the bank in the form of mortgages. What happens if the Bank runs out of money? The Bank never runs out of money. Even if you run out of official bills, you can use a form of running bank balance sheet to keep up with each player's interactions with the bank, use poker chips or checkers, or scan and print extra bills with your home all-in-one printer. Is the amount of money a player has public knowledge? No. You are free to hide your wealth from other players. Do I have to build evenly? Yes. You can never have more than a one-house difference between properties of the same color set. When can I buy houses and hotels? First, you must land on and buy all the properties in one color group. When that happens, and none of the properties is mortgaged, you can begin to add houses and hotels to the properties. What happens if we run out of houses? Monopoly comes with a limited number of houses and hotels. If a player wants to build a house and none is available, he must wait until one is available. Are the properties a player owns public knowledge? Yes. All properties must be face up (unless mortgaged) and visible to all players. Can I collect rent from other players while I'm in Jail? Yes. Rent collection continues while you are incarcerated. I own all four railroads, but one is mortgaged—how much rent do I collect? On the railroad that is mortgaged, you collect no rent. However, you collect full rent on the other three railroads that are not mortgaged. They are not discounted because one is mortgaged. When can I begin purchasing property? When you land on a property that has not been purchased by another player and you have the necessary funds to make the purchase, you can buy the property. How do I calculate how much I owe for Income Tax? Any player who lands on Income Tax pays either $200 or 10 percent of all his or her assets—cash, properties, houses and hotels. If your assets are $2000 or more, pay the $200. If they are less than $200, do the 10 percent math. The income tax goes to the Bank. When moving around the board because of a card, do I still collect $200 if I pass Go? In most cases, yes, unless you draw the Chance or Community Chest card that reads, "GO TO JAIL: Go directly to Jail. Do not pass Go. Do not collect $200."